Dr. John Painter is one of the pioneers of Chinese internal martial arts in the United States. He has been learning and practicing Jiulong Baguazhang, Taijiquan and Xingyiquan from the Li family’s system as far back as 1953. That is long before the general public had heard of Karate or Judo. Chinese martial arts were almost totally unknown except to a select few Chinese living on both coasts. There were few, if any, books written on oriental martial arts of any kind in the United States when young John began training with his instructor Master Li, Longdao. Dr. Painter then began to practice the mental and spiritual side of the internal arts with a renewed vigor, using meditation, nutrition and the Qigong and Baguazhang of his teacher. He began instructing a few friends and co-workers from Six Flags in the internal arts. 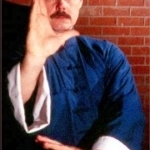 Dr. Painter was so impressed with the results he and his students obtained from the Bagua-Qigong that in 1973 he opened the Tao Ch’i Ch’Ã¼an & Life Sciences Ch’i Research Institute, began training instructors and t aught the first formal classes in internal style Chinese martial arts to the general public. In 1980, t urning his attention back to the martial side of his arts after seeing many of his friends killed or hurt in law enforcement due to poor defensive tactics skills, Dr. Painter began the American Rangers Law Enforcement Martial Training Institute. The goal of the Rangers is to promote better mental, physical, tactical and stress management training for peace officers in civilian and military operations. Dr. John Painter continues working and promoting traditional Chinese internal martial arts. He is working tirelessly to fulfill his promise to his teacher, that h e will document in book and film the Daoqiquan system, train teachers and share Daoqiquan with anyone who is possessed of moral virtue and a kind heart. Master Painter was sponsored by Shifu Marquez for many years practicing the Jiu Long Baguazhang here in California. Master Marquez does not teach this but uses the foundation of it as a tool.